The Solomos Square is a reference point of the town, adorned with traditional public buildings and museums, where cultural events are often held. 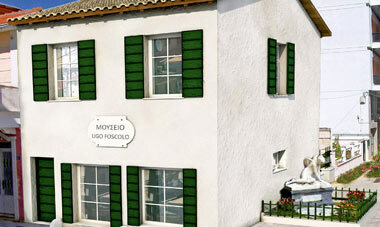 Visit the museum of the poets D.Solomos and A.Kalvos in the square of Agios Markos. 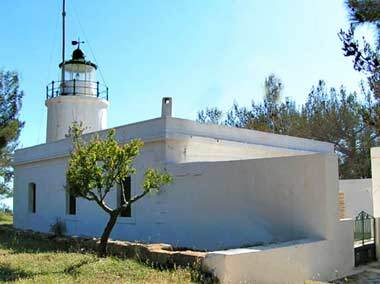 The museum accommodates works of art of their time as well as usable items, musical instruments and elaborate local costumes. The relics of the two na­tional poets are also kept here. 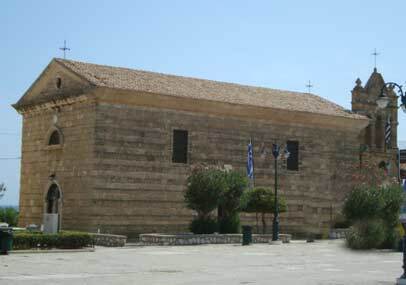 The church of Agios Dionyssios, who came from Zakynthos and is the patron saint of the island, is to the south of the town. Admire the remarkable icons and wall paintings. A great celebration and a trade fair is hold on August 24. Church in Venetian style built in the 17th c. and restored after the destructive 1953 earthquake. 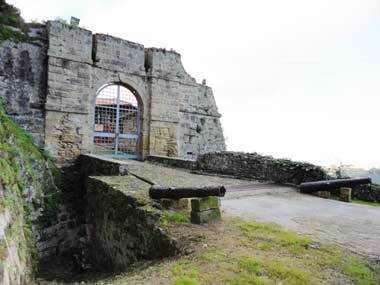 Although the church used to be on a little island connected with the rest of the town through a bridge, in the course of time the little island was con­nected with the mainland. Apart from the beauty of the church, you can also admire several religious heirlooms. 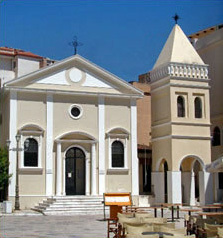 The only Catholic church of the island, in the little namesake square, stands be­side the D.Solomos and A.Kalvos Museum. The facades of the two buildings have a lot of features in common because they follow the same architectural style. They are considered the gems of the pretty square. 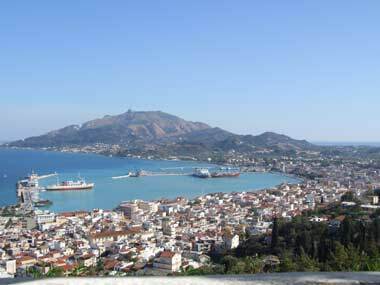 The town of Zakynthos is built on the east coast, very close to the Greek mainland, and is the main harbour of the island. The town was rebuilt after the destructive 1953 earthquake that leveled it almost completely. However, the town retained its earlier charm to a great extent because lots of the new buildings have preserved the old architectural style. The hill of Bochali, with the pine forest and the Venetian castle, an ideal destination for admiring the town from above, dominates the capital of the island. 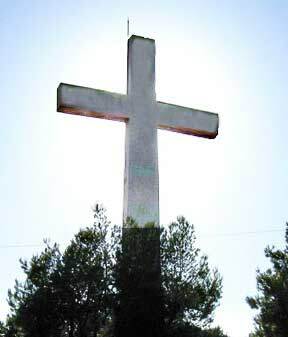 Just before Bochali is the hill of Stranis, where the national poet Dionysios Solomos was inspired the famous poem Hymn to Liberty, part of which constitutes the lyrics of the Greek national anthem. 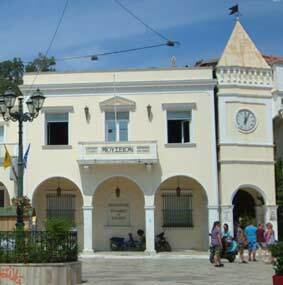 The Solomos Square is a reference point of the town, adorned with traditional public buildings and museums, where cultural events are often held. 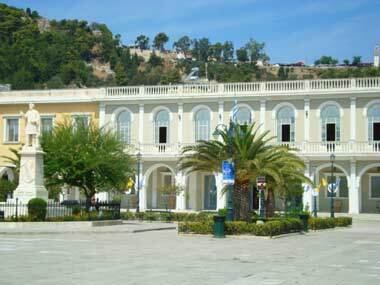 In the square of Agios Markos you can visit the Solomos-Kalvos Museum and the namesake and only Catholic church. 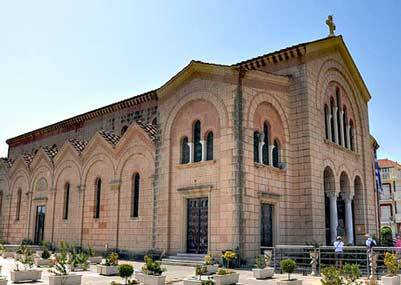 Do not miss the church of the patron saint of the island. 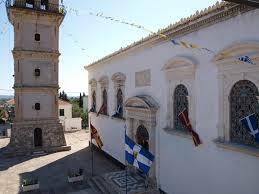 Agios Dionysios, the church of Faneromeni and the church of Agios Nikolaos of Molos. Wander around the quarter of Bochali and enjoy local dishes and wonderful serenades. 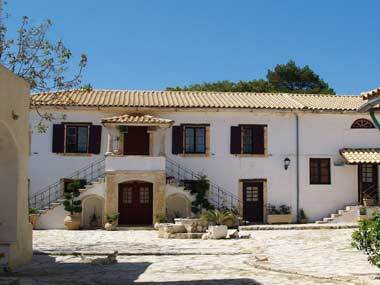 The medieval town of the island was in the hill of Bochali, behind the modem town of Zakynthos. The scenery will take you back to the past as you watch the stone-carved lion -the Venetian emblem. The view from the castle is stunning. Just before Bochali is the hill of Stranis, where the national poet Dionysios Solomos was inspired the famous poem Hymn to Liberty, part of which constitutes the lyrics of the Greek national anthem. The most famous beach of the island owes its reputation to the unique natural beauty and the decayed ship in the middle of the sandy beach, which make a perfect match. 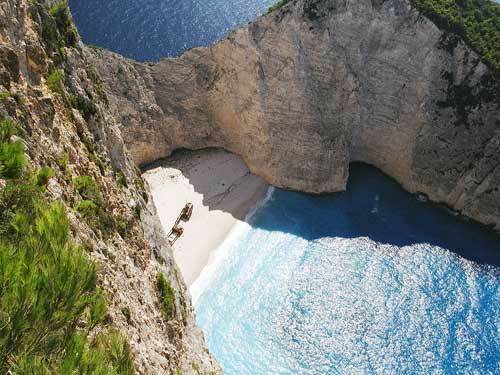 The beach is accessible by tourist boat and you can combine your visit to the Navagio with a tour to the Blue Caves. If you choose to go by car, drive up to the top of the cliff, where you can enjoy the view and take pictures of the beach below. The white sand and the blue clear waters will capture your eye. 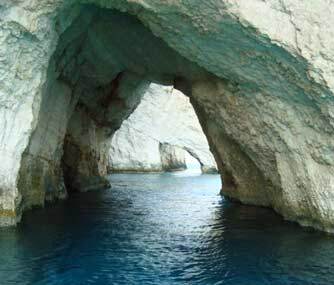 The Blue Caves are to the northeast coasts of the island. It is a natural geological phenomenon of great beauty. 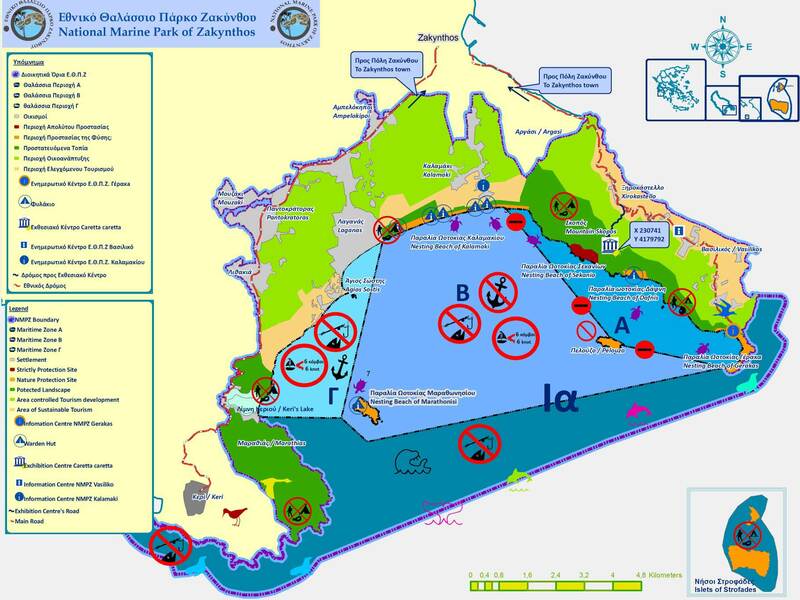 They are sea caves that were discovered in 1897 and you can visit them by tourist or private boat as long as you have the suitable nautical chart The nearest starting point is the little harbor of Agios Nikolaos, though small boats sail from other points as well and the locals are willing to guide you. 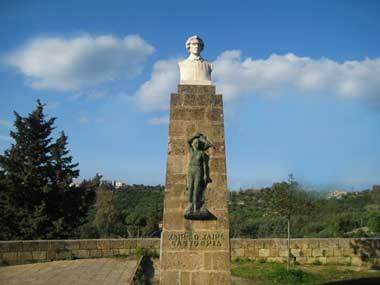 The park extends to the south coasts of the island and covers the Laganas Say, from Marathia Cape to Geraki Cape. It is considered an area of high ecological im­portance. The Park protects the nesting and breeding area of the Loggerhead Sea Turtle, a protected species that has remained unaltered since the prehistoric period. Spawning starts in June. Vessels of low power are sailing around the area and the visitors can watch the turtles, though always with great respect for the animals and the environment. A scenic and verdant little island, with a beautiful sandy beach gleaming under the sun. 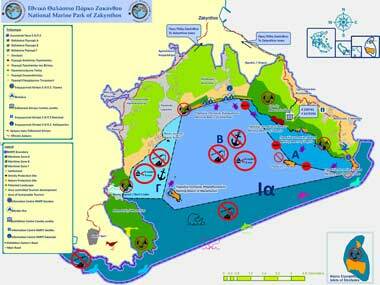 It is protected by the Natura 2000 environmental network and is included in the National Marine Park. You can visit it getting on one of the tourist vessels that sail from Keri Lake every day. The beach is of amazing beauty.